Illustration by Matt Dallinson. View more of his excellent work online. Any time a new and exciting footballing wunderkind should burst onto the scene, wide-eyed and dimple-cheeked and positively emanating a raw energy that would maim a man in his mid-40s, the reaction of the watching world plays out like a matter of scientific principle. Though the laws of physics may try to tell us that for every action there is an equal and opposite reaction, they evidently fail to take into account the action that is a wunderkind’s instant emergence and the infinitely unequal reaction of their rabid audience. With excruciating routine, the game’s most promising youngsters are hyped to within an inch of their own sanity, have built for them glorious escalators of praise that reach far higher than they could ever hope to ascend, from which most inevitably fall, fatally, only to be revived years later by the very same writers who wish to pour over their tales and brazenly slap exclusively past-tense labels upon them by means of categorisation. Now they are simply a what-if, a could-have-been, or a wasn’t-it-a-terrible-shame-about. As for best case scenarios, from time to time, the hype will not be misguided or unjustified. It will act not as an anchor but a soundtrack to a revolutionary player’s assault on the sport’s established norm. The score against which a truly once-in-a-generation athlete soars. ‘At such a tender age, and with seemingly unlimited potential,’ the latest back-page puff-piece will courteously conclude, ‘there may be no limit to what this talented teenager could achieve.’ And they do; they achieve. By the final beats of their long and illustrious careers, those fabled few look back, just as we do with them, to realise they’ve done it all. In that way, Kylian Mbappé Lottin is no different to any player that came before him. His age is inarguably tender, his potential seemingly unlimited, and there may well be no limit to where his immeasurable talents could take him. Except, in almost every other way imaginable — at just 19 years old but already with championship winners medals draped around his neck, assorted trophies and personal accolades littered throughout his home, and his pursed lips already an acquaintance of the World Cup trophy that so few come to know anywhere as intimately as he — Kylian Mbappé is totally unique to every player that came before him. So expeditious was Mbappé’s ascent that the supposed overnight successes that preceded him have since been made to look pedestrian in comparison; as though their own introductions were muddled together in fleeting patches of free time, carved out between more meaningful employment. To put into perspective the speed of his rise to stardom, as a boy Mbappé’s footballing hero was Cristiano Ronaldo. Photographs depict the modest bedroom of a 14-year-old Mbappé, the white walls adorned with cutouts and clippings and posters galore, every one featuring the Portuguese superstar. Barely four years later, Mbappé was lining up against Ronaldo in the 2018 Champions League round of 16, poised on opposite sides as Real Madrid welcomed Paris Saint-Germain to the Santiago Bernabéu. Such a scenario prompted the game-faced Frenchman to tell Marca in an interview: “Cristiano was my idol … I adored him when I was young but that ended.” Suddenly the two were contemporaries and gone were the days when the emerging generation would idolise players of bygone eras. Mbappé’s intentions, it seemed, were to make today’s idols yesterday’s news. It was only as recently as 2013 that Monaco plucked Mbappé from the ranks of his humble hometown club, AS Bondy. Mbappé had played for the non-league side, in the working class suburb of northeast Paris, since the age of six. Early though his introduction to the game was, with his father, at the time the club’s long-serving coach, a pint-sized Mbappé wasn’t so much discovered as simply untethered. With a football coach for a father and a professional handball player for a mother, a lifetime congenitally guided by competitive sport seemed a mere formality for Mbappé. Perhaps, before he could yet walk, though, it played on his parents’ minds that their boy wouldn’t take to sports as they had; that he’d deny his athletic inheritance, that the freedom of playing and the addiction of achieving would not intoxicate him as it did them. If they were even given the time to have them at all, their fears wouldn’t live long. Though Mbappé was hardly tall for his age, so prodigious were his talents the club were forced to promote him far beyond his own age group in search of players that could match him technically, else he would quickly tire of scoring with such ease. Mbappé adored playing more than anything – when the pitches were out of bounds he’d play around his home, making goals of the table and sofa in his living room, much to the anxiety of his parents – but even as a boy he demanded competition. Across the Channel, Premier League club Chelsea caught wind of the young Parisian upstart making a name for himself in a lowly French suburb. The Blues, led by their head French scout Guy Hillion, made contact with Mbappé’s family and eagerly invited their boy for a week’s trial. He’d only recently turned 11 years old. At their Cobham training ground, Chelsea welcomed his mother, his father and his uncle Pierre, all of whom had travelled with their excited starlet. They presented the budding footballer with a club shirt emblazoned with ‘KYLIAN 10’ on its reverse. During the week, Mbappé was treated to a tour of Stamford Bridge, met by then-manager Carlo Ancelotti, as well as the team’s star striker Didier Drogba, before being handed a start in an under-12 fixture against Charlton, which his side would win 8-0. By the game’s end, Chelsea were smitten. Mbappé, however, was not. It wasn’t nearly enough to convince him to move to London. Mbappé and his family were poignantly aware that this would not be the only offer they would receive and they believed France to be the best place for him. Six months later, Mbappé was invited to the Centre Technique National Fernand Sastre, known to most as Clairefontaine. One of the foremost football development academies on the planet, Clairefontaine is famed for having honed the talents of a raft of French – and, often, non-French – internationals. Their long list of alumni features Nicolas Anelka, Louis Saha, Hatem Ben Arfa, Mehdi Benatia, Raphaël Guerreiro, Blaise Matuidi, Olivier Giroud and Thierry Henry, to name but a few. During his three years at Clairefontaine, all the while returning home on weekends to continue playing for AS Bondy, Mbappé would receive offers from every club in France’s top tier. What’s more, Chelsea would return again and along with them came Liverpool, Manchester City and Bayern Munich, all hoping to successfully woo him or, if need be, happen by chance upon the magic utterance required to convince him to spurn their rivals and return home with them. Mbappé rejected them all. 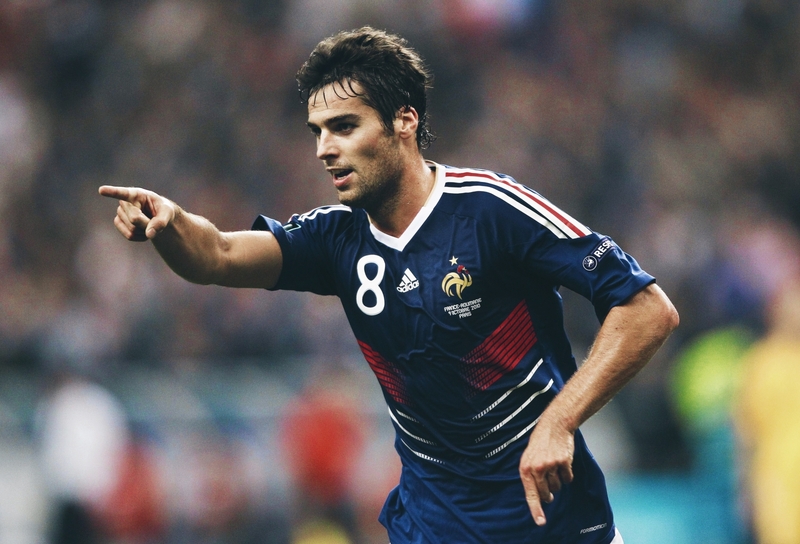 Real Madrid also famously courted the young French forward with a developed interest. In December 2012, a call was made to Mbappé’s father inviting his son to a trial in the Spanish capital. Zinedine Zidane wished desperately to watch him play in person, they were informed. For most players, an invitation to audition for Real Madrid would represent an incalculable sporting opportunity. For the Mbappé family, however, they had other motivations. “We did not go to Madrid to learn more about our son’s potential,” Mbappé’s father Wilfried would tell France Football, “but to please him.” With the trip to Madrid scheduled for the same week as Mbappé’s 14th birthday, the family saw the opportunity for a brief getaway, a swift Spanish sojourn, a treat for their son for all his hard work and focus, and a good excuse to meet his idol, Cristiano Ronaldo. In Madrid, the family did just as they had intended. They met with representatives from the club, received signed shirts from and took pictures with Zidane and Ronaldo, with whom Mbappé treasured every second, and they took in the sights of the Spanish city, making the most of their week away. When the time came to return to France, they did so after confirming to Real Madrid their son’s wishes. Mbappé would not be signing with them either. Still he wished to remain in France. He had a plan. As he spoke, with the two sat pitchside at a vacant Stade Louis II, Mbappé often gazed at the arena around him. Beside him was the pitch he’d chosen to play on; behind him the seats belonging to the fans who now were blessed to call Mbappé their own. The boy had chosen Monaco. Internationally renowned for their fruitful youth system and the transition into professionalism and seniority that it continues to provide for so many ambitious adolescents, Mbappé saw no better place on home soil than Monaco to continue his skyward journey. Despite being tied to the club by a youth contract only, Mbappé was handed his first senior appearance by Monaco head coach Leonardo Jardim on 2 December 2015, as his side were held to a 1-1 draw at home to Caen. Few would recall the occasion as a dream debut, perhaps few would recall the occasion at all, as Mbappé arrived in the game’s 88th minute and made little impact in what was largely a forgettable fixture. But for Mbappé this appearance, this showing of faith, affirmed his decision to join Monaco in favour of many other clubs where the bench would inevitably have remained his place of residence or where only loan moves across borders or down leagues would have afforded him the first-team experience he so desperately craved. Additionally, this cameo appearance was enough to earn the boy the record for Monaco’s youngest-ever first-team player, aged 16 years and 347 days. 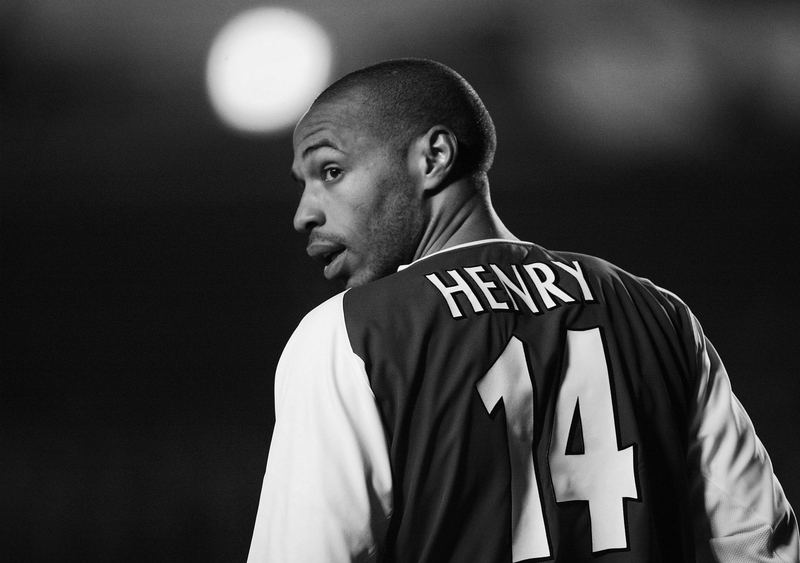 The club record, after 21 years in Thierry Henry’s possession, was now Mbappé’s. Another long-standing record of Henry’s was soon to follow. In a 3-1 league victory over Troyes in February 2016, Mbappé scored his first senior goal for the club. Aged just 17 years and 62 days, the title of youngest first-team goalscorer in Monaco’s history became his too. A month later his record-breaking habits were rewarded in the form of his first senior contract. As the two were snapped shaking hands on the deal, Vadim Vasilyev, Monaco’s CEO, told the press: “Kylian is a precocious, highly promising player, and we are convinced he will reach his full potential at Monaco.” In the remarkable season that would follow, Les Monégasques would be treated to a season-long exhibition of exactly what their precocious, highly promising player was capable of. So too would the rest of the world. Before then, however, Mbappé would compete at the 2016 UEFA European Under-19 Championships. In host nation Germany, Mbappé’s France would be grouped with England, the Netherlands and Croatia. The only other group featured Portugal, Italy, Germany and Austria. In their tournament opener, France succumbed to England, beaten 2-1 thanks to England’s two early strikes. But in their following fixture, France dispatched Croatia with goals from Mbappé and his strike-partner and fellow Parisian, Jean-Kévin Augustin. In their final group stage game, France delivered another win, a 5-1 demolition of the Netherlands, thanks again to Mbappé and Augustin, who delivered two and three goals each, respectively. Through to the knockout stages and directly into the semi-finals, France made light work of opponents Portugal, despite going a goal behind in just the third minute. Again Mbappé helped himself to a brace. In the tournament’s final, France faced Italy, and they triumphed with ease. A 4-0 title-winning victory staked their claim: these young Frenchmen were the finest under-19 talents Europe had to offer and it was clear to most just who was considered the jewel in that particular crown. Mbappé returned to Monaco a European champion. In 2011, Monaco’s domestic rivals Paris-Saint Germain underwent a rapid and inescapable mutation. Engorged by the billions of riyals invested by new owners Qatar Sports Investments and new club president Nasser Al-Khelaifi, overnight PSG were transformed. What was once a club filled with upward-facing fantasists were now a bonafide domestic superpower, looking down upon their impotent competitors, all the while masterminding an ambitious offensive on the wider continent. Mere months into the Qatari-powered-era of their relatively short existence, Paris Saint-Germain were crowned champions of France in the 2012/13 season, the first time they could call themselves such since the early 1990s. Spearheaded by new recruits Blaise Matuidi, Javier Pastore, Zlatan Ibrahimović, Ezequiel Lavezzi, Thiago Silva, Marco Verratti, Lucas Moura and so many more, PSG won the title at a canter. Just as they did the season after, the season after that, and the season after that. Come the eve of the 2016/17 season, Les Parisiens had their sights trained on a fifth consecutive championship. Nearer and nearer, they stalked Lyon’s record of seven. Little did they know they were to be denied, and in no small part by a fellow Parisian. For a brief period, many saw Monaco as being almost exactly that type of club too; flush, free-spending. Following their acquisition by Russian billionaire Dmitry Rybolovlev, in the same year as the capital club’s own takeover, Les Rouges et Blancs quickly came to be seen as a footballing interpretation of their very own lavish surroundings. Monaco, as a sovereign city-state, country, microstate, or any other name, was positively overflowing with affluence. Now, so too was their team. After spending generously to assemble a star line-up, Monaco sprang from the basement of Ligue 2 into life. They were named as the country’s second best team within two years. This cash-infused modus operandi was not, however, to last. As recalled by Charlie Carmichael in These Football Times’ France magazine, “Rybolovlev had to splash out an eye-watering €2.7 billion in divorce settlements – the largest in history – to his ex-wife and, with that, his short-lived spending policies began to dwindle. As it would happen, with their evolving philosophy now relying upon focussing on youth and promoting from within, Mbappé would fit the profile of this nouveau Monaco exactly. And this, remarkably, would be how Monaco, even if just for one season, toppled the immeasurable might of PSG. The year prior, Mbappé had played a minor role in the story of Monaco’s season. Present but little more. In the season that was to follow, he would be trusted to play, if not the lead role, a starring, award-winning role nonetheless. And he would deliver in style. At the head of an unorthodox 4-4-2, which encouraged the side’s two tricky wingers to tuck in to accommodate a duo of marauding full-backs, alongside hotshot forward and captain Radamel Falcao, Mbappé thrived. Under the tutelage of a manager that had incredibly become known as a principally defensive-minded coach, Monaco became the embodiment of attacking prowess. Racking up an outrageous 107 goals in 38 league fixtures, Monaco blew their rivals away with an arsenal few imagined they could possibly have stocked at the Stade Louis II. And while Falcao fired in 21, the Colombian fell far behind the season’s golden boot winner Edinson Cavani, who notched 35. This was proof alone of Monaco’s system. They relied on no single player. They were the most astute of teams. In goal, Danijel Subašić performed admirably. Full-backs Djibril Sidibé and Benjamin Mendy routinely raided forward, endeavouring to engineer opportunities to cross, but rarely surrendered their defensive duties. At their defence’s centre, the unlikely pairing of Kamil Glik and Jemerson were a picture of stoicism. In the engine room of their midfield, Fabinho and Tiémoué Bakayoko would prove impassable while João Moutinho conducted the symphony around them. On the left and right flank, Monaco wielded Thomas Lemar and Bernardo Silva, wingers of varying styles bringing confidence and variety to the team’s offensive aspirations. Falcao dispersed the haze of pessimism that hung over him during his sideways spell in the Premier League and rediscovered his predatory instincts. Valère Germain deputised shrewdly, featuring more times for Monaco throughout the season than any other player. And then there was Mbappé. The youngster’s sophomore season played out like a dream. Fittingly, he’d become a recurring nightmare to those who opposed him. A blur. That is all Mbappé was to so many defenders. An attacker lurking some place close by, on the shoulder or a few steps in front, a red and white-clad figure on the border of their peripheral vision, and then little more than a soon-to-be-celebrating coalescence of colour and noise. For so few players have onomatopoeic interjections and ad-libs ever come to the rescue of so many reporters whose reservoirs of unique adjectives quickly ran dry when attempting to describe his actions week after week. For over a century, no player as young as Kylian Mbappé had scored 15 league goals in the top divisions of England, France, Germany, Italy or Spain. When Mbappé notched his 15th of the campaign, he was 18 years and 147 days old. By this point in the season, Monaco had already fallen for their number 29. By the season’s end, he’d hit the back of the net 26 times in all competitions, in addition to laying on 11 assists. In spite of his years, Mbappé also proved pivotal in carrying Monaco’s offensive charge across the continent. During the course of the season, they preached the virtues of their new philosophy far beyond their domestic bounds and, in the Champions League, marched them all the way to the final four, disposing of Pep Guardiola’s Manchester City as well as Borussia Dortmund en route, before falling at the feet of the Old Lady of Turin. Mbappé notched six times in nine European appearances and the young Parisian was subsequently voted into fourth place in the newly-introduced UEFA Forward of the Year competition, behind only Cristiano Ronaldo, Lionel Messi and Paulo Dybala. “The outstanding young player in an outstanding team of young players,” was how the association’s technical assessment described him. Mbappé made the UEFA Team of the Season and, for his year’s work, also claimed the UNFP Ligue 1 Young Player of the Year award. One warm morning in July, not long after their title-winning season had drawn to a close, a knock came upon the boardroom door at Monaco headquarters. Muffled Spanish voices could be heard in the hall. The board members knew all too well what awaited them. Real Madrid had returned and they wished to relieve Les Monégasques of their prized possession. Powerless to stand in his way, Monaco accepted the reported £161m bid on the table and prepared for Mbappé’s exit. 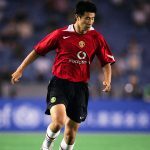 Reluctant though they were, it remains true that every player has a price and, even in the 21st-century transfer market’s volatile and hyperinflated state, this sum represented a phenomenal profit on a teenager they had acquired for a mere pittance just a few short years before. A private jet sat rumbling on a nearby runway, primed and ready to fly Mbappé direct to Miami to join his assumed soon-to-be teammates on their pre-season tour of the United States. Incredibly, Mbappé refused them – just as he had as a 14-year-old. Madrid were made to return to Spain with their tails between their legs. Then, barely a month later, Mbappé did move. He became the second-most expensive player in history on the day he signed for Paris Saint-Germain. Read | Where does Edinson Cavani rank amongst his generation’s best strikers? What Boscher’s comments serve to say is that it perhaps shouldn’t shock people to see a player opt to join his hometown club, the one proudly representing the city next to which the player in question grew up, the place he feels, above all other places on this planet, he and his family belongs. But what those words also mean is that nothing Mbappé does should surprise us anymore. Ridiculous though it seems to suggest, all the while speaking of a boy still in his teens, already it should be abundantly clear that Mbappé defies convention as a matter of daily routine. 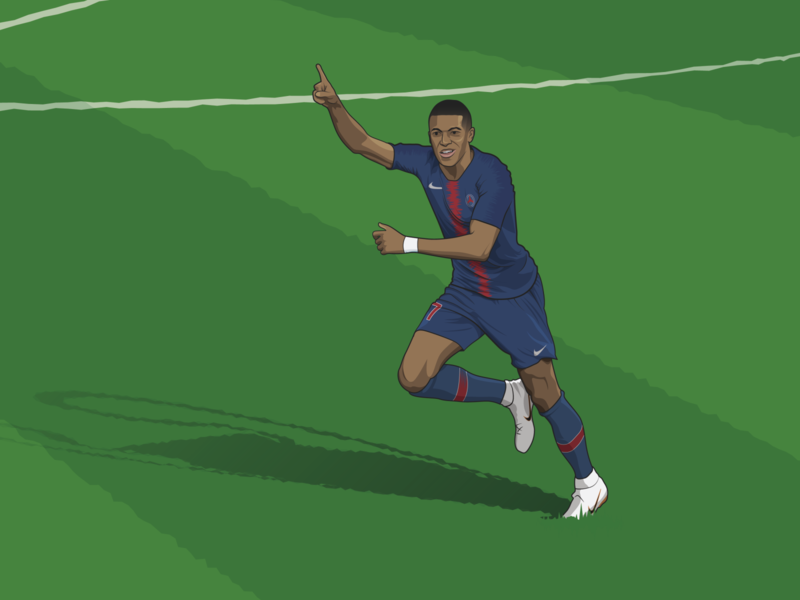 In the weeks before Mbappé enrolled himself in the ranks of Les Rouge-et-Bleu, Paris Saint-Germain had already broken the world transfer record on the day they met Neymar’s release clause, a prerequisite to prizing him from the grasps of Barcelona. 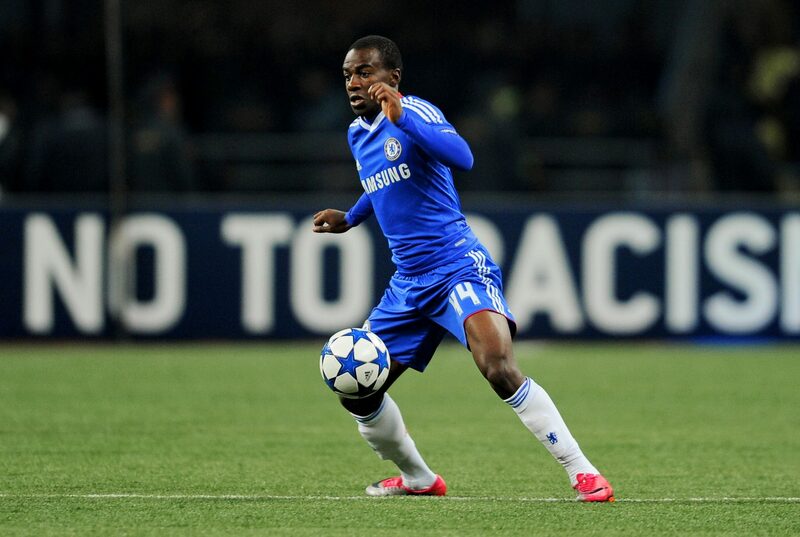 The Brazilian joined for a fee in excess of £220m. In the media’s eyes, this transfer somewhat took the shine off of Mbappé’s own move to Paris; his switch the dessert that follows a gluttonous main course. But, typically, the young attacker cared not. His move to Paris was born from a desire to make history on the pitch, not off of it. To little surprise, Mbappé hit the ground running in Paris in every sense of the phrase. On 8 September 2018, the attacker struck a goal on his debut in a 5-1 walk in the park against Metz. Four days later, as thanks for being handed a first Champions League start for PSG, Mbappé chipped in with one of his side’s five goals against Celtic in another simple victory. Just as he had at Monaco, Mbappé aided his fellow forwards in forming one of the world’s most feared offences. With his completing of an attacking trident, alongside Neymar and Cavani, in their six Champions League group stage fixtures alone his team struck 25 times. Having already secured progression, PSG fell to a 3-1 defeat away to Munich but, by that point, had since scored five, three, four, five and seven in their preceding five fixtures. The numbers racked up by PSG, in far from the most elementary of groups, was shamelessly audacious. When Mbappé fired his team’s only goal of the game away to Bayern, on 5 December, another fine record fell into his lap. At the age of 18 years, 11 months and five days, the Frenchman had his 10th Champions League goal. For context, the record that was now his had most recently belonged to Karim Benzema who only grabbed his 10th goal in the Champions League when he was almost two years Mbappé’s senior. Lionel Messi, meanwhile, totalled his 10 more than three months after turning 21. Eventually, PSG’s weekly steamrolling stopped. 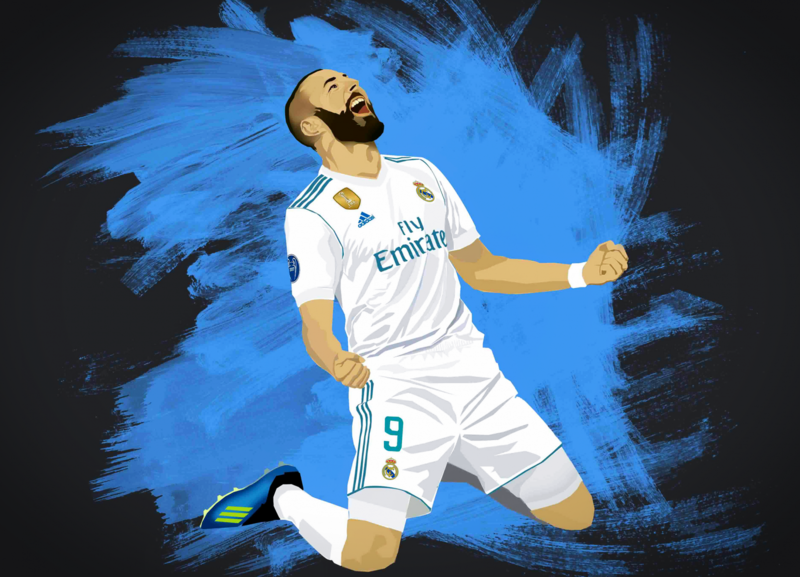 When confronted by the considerable might of Real Madrid, a 5-2 aggregate victory allowed the men in white to remind their Parisian counterparts just who were the kings of Europe. Mbappé, meanwhile, was afforded an unfortunate glimpse of life in Madrid, the life he could have had should he have accepted the first record-breaking transfer to arrive under his nose. 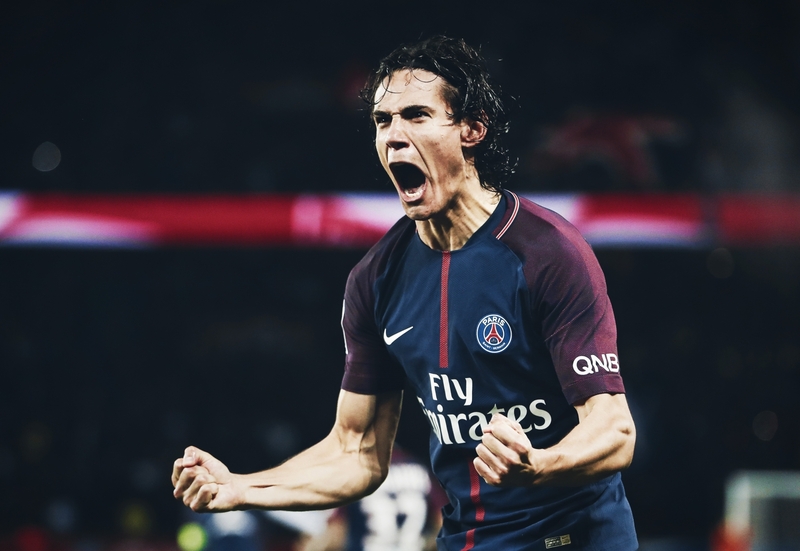 Nonetheless, their European disappointment did little to curtail PSG’s domestic progress and the capital club regained their Ligue 1 crown in style. They added their league title to the Coupe de France, Coupe de la Ligue and Trophée des Champions silverware already amassed during the same season. In total, Mbappé notched 21 goals in 43 games on the way to a domestic quadruple. Read | Where does Karim Benzema rank amongst the best of his generation? Given the stunning influence he brought to his country’s under-19s side at the European Championships the year before, it was expected that Mbappé’s next international tournament outing would have been the 2017 FIFA Under-20s World Cup in South Korea. But delivering back-to-back league titles with alternate clubs demanded so much more and, by the eve of the aforementioned youth tournament, Mbappé had long since become a fully fledged member of the France senior team. Furthermore, Mbappé’s form had demanded he travel with them to the World Cup in Russia and his form also demanded he be seen as one of Les Blues’ most lethal weapons. Mbappé had become France’s second youngest-ever debutant in March 2017, featuring sparingly against Luxembourg in a 2018 World Cup qualification match aged 18 years, three months and five days. Only Maryan Wisniewski, who debuted in 1955, had done so younger. A little over five months on, Mbappé had his first goal for his country, scoring against the Netherlands in another World Cup qualifier. By the following May, the 19-year-old had successfully secured his seat on the plane departing for Moscow. He would, this confirmed, feature in some capacity in the quadrennial showpiece of world football. How great a role he would eventually play few could have dreamed up. Paul Pogba slipped in and pickpocketed the ball from Peruvian captain, Paolo Guerrero. Sweeping the ball across the turf, his quick pass met the advancing run of Olivier Giroud. With his first touch, the Chelsea forward attempted a left-footed swipe towards goal but the shot was blocked by the outstretched leg of Alberto Rodríguez. Having succeeded in not halting the ball but instead sending it skywards, Rodríguez’s deflection allowed the ball to loop over his goalkeeper and continue its goalbound path. Rushing in to ensure the job was completed without fault, Mbappé beat the scrambling goalkeeper to the drop and tapped the ball home. One-nil to France. A first strike of the tournament and another record for France’s youngest-ever World Cup goalscorer: the 19 years and 183 days old Mbappé. The French had already squeezed beyond Australia in their tournament opener, in a narrow 2-1 victory, and, after defeating Peru by a solitary goal, were held to the competition’s only 0-0 draw with Denmark. They’d not set the world alight with their play but Les Blues had done enough to progress to the round of 16. There, they would meet Lionel Messi’s Argentina. The pendulum swung wildly throughout the game; fortune favouring the Europeans, then the South Americans, then the Europeans again. Back and forth it went. Antoine Griezmann opened the scoring from the penalty spot, awarded after a panic-stricken Marcos Rojo had bundled the electric-heeled Mbappé to floor of the penalty area, before two goals either side of half-time – a stunning long-range strike from Ángel Di María and a deflected effort from Gabriel Mercado – put the Argentines in the driving seat. French auxiliary full-back Benjamin Pavard reclaimed parity, finding the top corner with a sumptuous half-volley that would later be voted the tournament’s finest goal, before Mbappé took it upon himself to decide the fate of the tie. Striking twice in the space of just four minutes, Mbappé mercilessly finished two counter-attacks that ravaged a dizzied Argentina defence. Tucking the first under Franco Armani, having been teed up by a neat toe-poke into space from Giroud, Mbappé grabbed his second by working a yard of room in a crowded penalty area before smashing a low drive beyond Armani’s attempted dive. The full-time whistle brought the game to a halt with the score 4-2. France were into the quarter-finals. Les Blues next orchestrated another mature performance in the following round, much needed in order to negotiate a 2-0 win from a difficult contest with Uruguay. Head coach Didier Deschamps had received criticism for stifling the attacking affluence available to him but, to his credit, he had instead focused on teaching his French ranks how to deploy the tactics necessary to overcome any opponent. Often flair was sacrificed in the name of pragmatism, and in the name of progression, and it worked. For their troubles, they were awarded a semi-final date with Belgium. A similar story played out once again against Belgium. Try as they might, Les Rode Duivels couldn’t break down the French resistance – there was no white flag of France’s to be found – and Samuel Umtiti’s goal proved sufficient to carry his country into their third World Cup final. Croatia would meet them in Moscow. In keeping with the entirety of the openly convention-defying tournament, the final would willingly do away with tradition on the goalscoring front. Not since 1986 had both finalists found the scoresheet twice or more and only those born to the early 1960s could remember a final that boasted as many as six goals. In every stadium in every Russian town and city, the tournament had found itself routinely punctuated by three distinct types of goal – penalties, own goals and screamers – and the final would buck no present trends in that particular regard. The scoring opened with an own goal. The ball, sent into the area swirling by the left boot of Griezmann, found nobody but the scalp of Mario Mandžukić and, scarcely a second later, the back of the Croatian net. Ivan Perišić brought his country level with a well-worked solo effort but, before the half could expire, Griezmann had his say once again, this time from the penalty spot. A generous hand-ball decision, afforded by the video assistant referee, allowed France the opportunity to head into the break ahead, which they gladly took. Midway into the second half, a howler from French captain Hugo Lloris allowed Mandžukić to find the net at the right end, opportunistically sneaking home a second Croatian goal, but by that point, France had already found their third and fourth of the evening. The third came from Paul Pogba, a hard-earned rebound that capped a fine final showing of the tournament, while the fourth was all Mbappé’s: a slick right-footed slap from 25 yards that deceived his old teammate Danijel Subašić, tumbled into the bottom corner of the net, and secured for Mbappé likely the most remarkable of all his remarkable records to date. In that instant, he became only the second teenager ever to score in a World Cup final. The first had done so on 60 years earlier, on 29 June 1958, in the unforgettable final between Brazil and Sweden, and that particular teenager’s name was Pelé. On that champagne-soaked night, so long as he was able to wrestle the 18-carat gold trophy from the vicelike grasps of his equally infatuated compatriots, Mbappé was free to do just that. Though it may have paid to remind him that he no longer needed to sleep in order to hold the World Cup close to him. He was now a world champion for real. It was his to keep. Often the perceived effortlessness with which an athlete performs can construct around them an illusion of ease. This is especially true of Mbappé. One may watch the truly bewildering fashion in which he transitions from a stand still to a full sprint in scarcely the time it takes to blink; witness his often blurred gallop that so petrifies opponents as he strides toward, beside, then so swiftly beyond them; behold the calmness with which he routinely denounces his biological immaturity to dispatch the ball beyond goalkeepers twice his age, and assume it must all be oh so easy for him. But, the simple truth is, his lofty vantage point demanded climbing, just as the summit of every athlete’s discipline does, and Mbappé has always boasted a penchant for persistence and graft that betrays the ease afforded to him by his more immediately apparent genetic blessings. That Mbappé has ascended to the pinnacle of his sport so early in his career should not undermine the nature of his achievement nor yield to hare-brained theories of the growing ease of doing so. Instead, it should serve as a reminder to all in attendance what a privilege it will be to witness the story of this young man being written before our very eyes. Kylian Mbappé may still be only a teenager, and his career could yet stretch on for as many as two decades more, but already it’s clear: there’s a chance we might never lay eyes upon another quite like him.